Gripes: Doesn't really work for me, may injure skin! 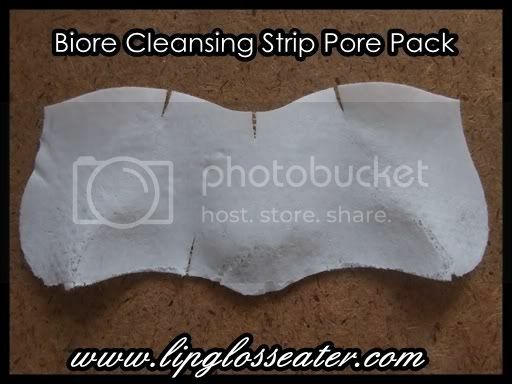 New Biore's Pore Pack with additional slits on the strips give a better fit to clean pores clogged with oil and dirt more effectively. 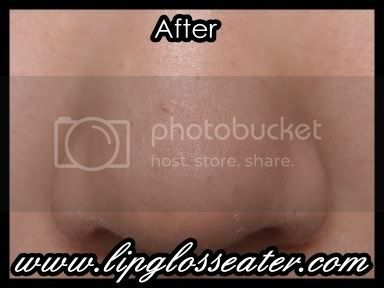 It thoroughly removes blackheads on the nose instantly. When used once or twice a week regularly, pores will become less noticeable, giving you cleaner, smoother skin! Although i don't recommend using this at all, i use this whenever i see them blackheads on my nose. 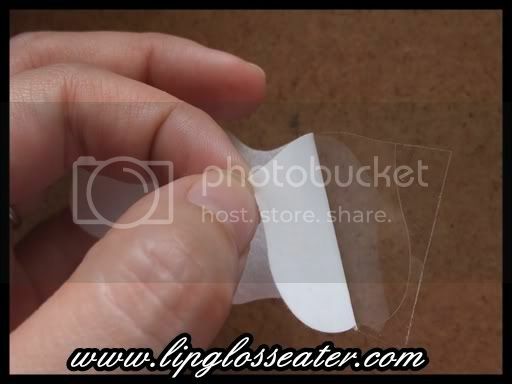 Ok before you start lecturing me on how harmful these strips are, i wanna tell you that I KNOW!!! Hahaha!! Ok, back to normal transmission mode now! lol! :P I'm sure most of you would have came across these strips before, and have even used them before! :D So lemme talk about actually how effective these strips are. To tell you the brutal truth, i don't think they work very well at all!! Maybe the first time yes, but after that, not any more!! Every time i use this now, all it pulls out are those tiny hairs on my nose!! lol!! To show you what am i talking about, here's some pics for you! WARNING: They're not exactly pleasant to look at! A side by side comparison for you! 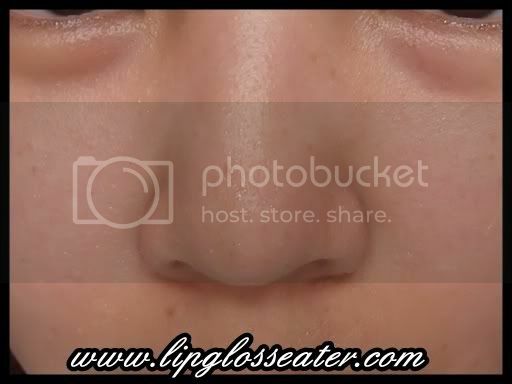 The blackheads are circled for your reference. Credits: Product photo from Kao.com. hahaha!! I'm in the same boat - demented pleasure for sure! ok jenn, have u seen mine before? LOL. bet u will get the black one! We have a local charcoal version from a different brand, because biore isn't available in Manila, but it's the same principle. 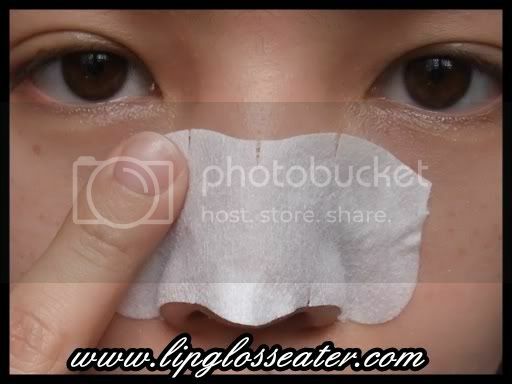 I use it only when I'm really frustrated about the blackheads already. So far, exfoliating regularly has helped lessen those little bastards hehe. Wow... the black one sounds great!! But. must. resist!! This one no good for skin!! Xin you evil woman!! >.< That looks almost euphoric!!! 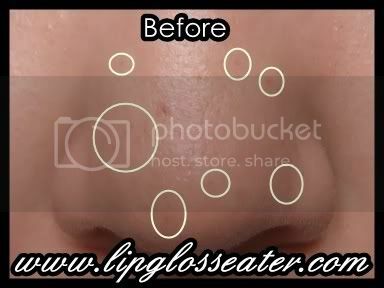 Look at those blackheads!! OMG!!!! Kaye: icic! Thanks for sharing! Yeah, regular exfoliation should help reduce them blackheads!! 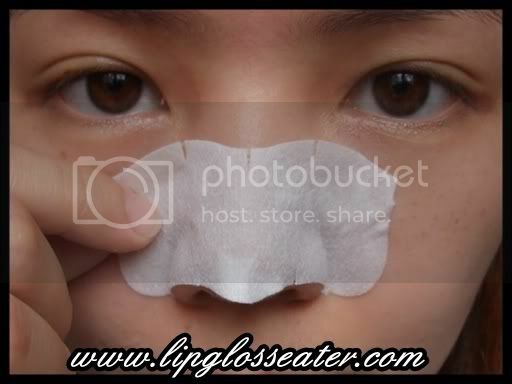 I tried pore strips once but removing them was painful and they didn't really work so I stopped. I'm sorry these didn't work for you. hi there, first time visiting. u have amazing blog! 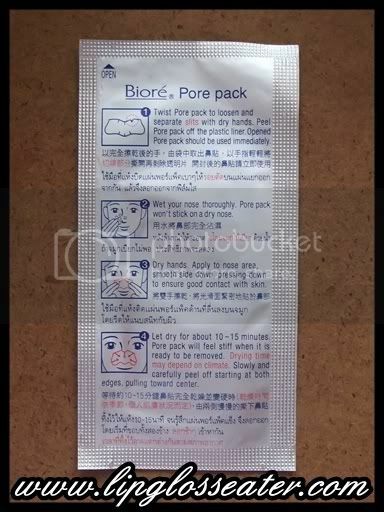 as per the pore pack, im actually a huge fan of it. 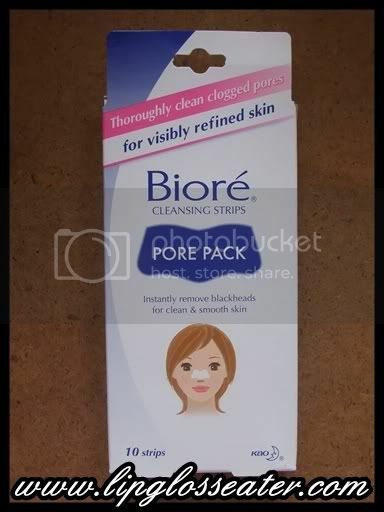 but, my favourite would not be the Biore's one. it would be from Watson's(malaysia). 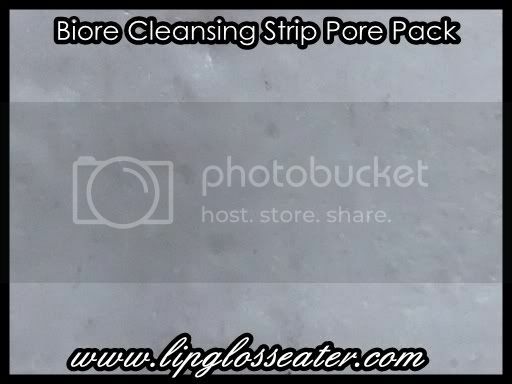 and, the way i do it, to enhance its ability is, prior to the pore packs, i usually put a thin layer of clay mask (St.Ives or clinique one works fine)..after 15 minutes, i wash it with warm water, and, while the water is still on your nose, i put on the pore pack. after 15minutes or so, i pull it off! lol..that works for me, everytime..
my trick to get the most black/white-heads out is to make sure u switch on ur aircon when u let the strip dry. ehehe.